Very quickly, we’re approaching the end of February 2017 and I must say that in the past 3 months that Kenjo Salon’s taken over management of my hair – it’s improved way and beyond my wildest dreams. 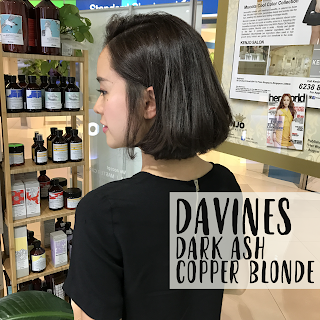 The past 3 months have seen me go from long hair, to a shoulder length cut, before reaching the chic bob that rests upon my head at the moment – and I couldn’t be happier to know that my hair’s in the best care possible. At the moment, all past bleach work has been trimmed off – gone are the days of dry, split ends, that broke off mid-way. We’re talking about well-nourished, soft, silky, healthy hair now. I checked-in at Kenjo on Thursday after Valentine’s and decided it was fine time to go shorter and sharper. 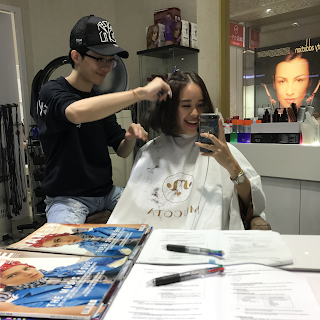 I’d seen how well Senior Stylist Justin handled my hair – he gave me his signature chic bob cut – which was just about growing out to graze my shoulders. This time, Justin got all of my trust and we went shorter – think: aligned with my jawline. Admittedly I got a little worried as Justin zipped away – but once the full blowout was done – it was just razzlin and dazzling! 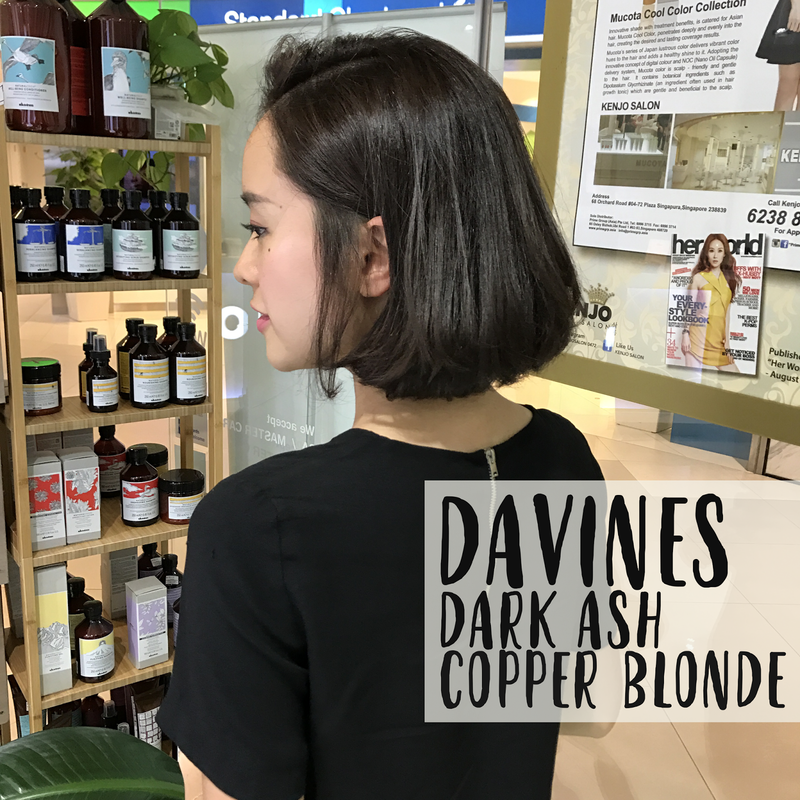 Justin updated my colour with a Dark Ash Copper Blonde from Davines, finishing off with an Olaplex touch. You know how when you get a fresh colour, you look kind of weird? None of that right here – I immediately fell in love with the shade – it’s so natural, and exactly what I’d always wanted, but missed. Colour-mixing really isn’t an easy thing! So get on down to the only Official Mucota Concept Store in Singapore – tell them you’re a buddy of mine and they’ll set you up with Senior Stylist Justin with a 15% buddy discount!